Jason Ho, Head of Group Human Resources, OCBC Bank, shares his insights into his career path, digital transformation initiatives in HR, and the three pillars that support the bank’s employer brand. Jason Ho joined OCBC Bank in January 2013 as Senior Vice President and Head of Asset Liability Management and went on to assume the role of Head of Group Human Resources in July 2015, following his appointment as Deputy Head in January 2015. 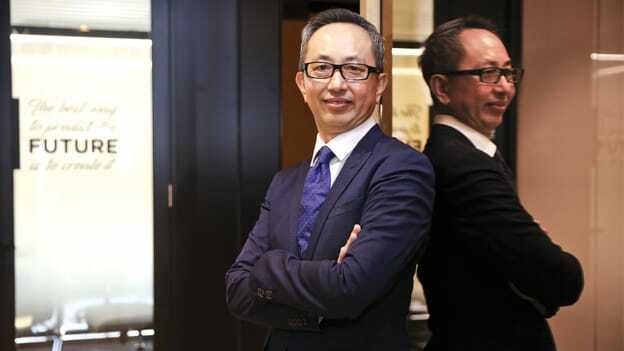 Ho holds more than 30 years of banking experience and prior to OCBC, he held senior level positions at KBC Bank, Standard Chartered Bank and Volvo Group Treasury Asia Limited. Jason has a Bachelor of Business Administration from the National University of Singapore and a Masters in Applied Finance from Macquarie University. He also serves as a Director of the Institute for Human Resource Professionals and is a member of the HR Sectoral Tripartite Committee. You were OCBC’s head of asset & liability management, global treasury, before taking on the role of head of group human resources in July 2015 as part of a succession planning framework. How was the transition from a “finance” background to HR? My transition into this role was a part of the succession planning process that was facilitated by my predecessor, Cynthia Tan, our former HR Head. I was previously holding the responsibility of the Bank’s asset & liability management, global treasury, before I took on the role of Head of Group Human Resources in July 2015. Although I had been involved in HR initiatives like the OCBC Mentoring program and coached participants for taking on bigger roles within the bank, transitioning into this role was a powerful moment for me as I came from an inherently totally different position that I held for more than 30 years. This transition transformed my views and thoughts about the business especially the HR function. My previous role of managing global market and asset liability was very clinical in nature and the focus was on managing risks strategically. What I have discovered during the transition is that HR plays a very impactful role in OCBC because we do not just look after HR responsibilities, but it is a core part of the strategy and capital committee that strategizes on policies, strategy, regulations and allocations and bank business. I inherited a high-performing team that was well respected in the OCBC ecosystem, so my challenge was about driving an even greater performance from it. So before officiating, I spent the first six months just listening to my peers, team and also spent time knowing the different functions of the HR like people who managed compensation, talent acquisition , etc., so that I could strategize on what we need to do next for the future. What do you think HR is instrumental in determining the future of a company especially during times of such radical disruption? I started off in HR in the middle of the compensation cycle, which is when I realized that there was a lot of action and activity done by HR that is perhaps not seen by people outside of the function. I believe that one way to describe HR is that it is like one of the roots that support a tree, the tree here being the organization. And unlike other functions and processes that are inherently self-sufficient and do not really interact with other processes and functions, HR has the leverage of having various points of interactions or touch-points that in turn enable it to influence employees, create an innovative learning culture in an organization, and make a holistic impact on the organization. HR plays an integral role when it comes to promoting the progress, maturity, and growth and development of its human capital. How are you capitalizing on learning innovations and other digital techs in HR to strengthen your competitive edge in line with the global business trends, increasing operational efficiency and workforce productivity? I believe that digital transformation is the journey that HR and the organization have to take. And we have worked towards it. Our guiding principles for driving business outcomes revolves around providing the best employee experiences that are simple, personalized and integrated. And in all this, the priority has been to develop and prepare our employees by personalizing programs for each employee segment. The strategy we follow entail analyzing our workforce, defining the segments and creating programs to target and engage with these specific segments. For example, we have the FutureReady program for the mid-segment that comprises SkillsFuture Credit eligible courses, a specially-curated SkillsFuture catalogue for OCBC employees with 150 courses, and a two-day roadshow to help employees familiarize themselves with these two tools. For millennials, we have curated the FRANKpreneurship, which is an internship program that features the deliberate inculcating of entrepreneurship skills and knowledge. For the senior employee segment that comprises roughly about 15 per cent of our workforce strength, we have Life Refresh@OCBC, which provides skills training according to their life stage, for example, digital and fintech training, financial planning, career planning and health fitness. We also have an all-inclusive HR mobile application, ‘HR In Your Pocket’ that features an AI-powered chatbot integrated with the bank’s HR information system to provide immediate and personalized responses. We developed this in-house and through feedback from employees who want to be able to access HR information and perform HR-related matters anywhere and anytime, without having to contact the HR team or be seated at their desks. We wanted to channel our bank’s digital capabilities and technological expertise into developing intuitive and easy-to-use apps for our employees, and that’s how this mobile app became a reality. Data analytics too plays a big role in our HR processes and functions. We use data analytics to provide insights on executive resourcing and also have a dynamic dashboard that shows the readiness of a candidate as he or she moves along the pipeline. Our resourcing team who supports business divisions in hiring can log in to the system to know the progress, instead of relying on the traditional spreadsheets and conversations. The system can help us identify if hiring managers are taking too long for the status of candidates' applications, and help speed up hiring processes and improve candidate experience. It also gives us an oversight of the job openings and positions that each member of the resourcing team is working on. By doing so, it enables us to know if a member requires some support with a particular position or candidate, and eliminate any duplication of work. This helps improve productivity and create better collaboration within the HR team. What are the things in the adoption of digital channels on the learning front that have worked for the bank? We have always aspired to be at the edge of the learning curve. With technology disruption changing how we execute and operate, it is crucial that we build a robust learning culture that encourages a mindset receptive to learning, un-learning and re-learning. And we hope that our employees sustain such a mindset beyond the workplace because digital has pervaded even our personal lives and we have to be on top of new technologies. In view of this, we have launched our Future Smart Program that is a part of our efforts to equip our employees with digital skills. This is one of the largest transformation initiatives that we have carried out till date and this program comprises seven specialized digital domains that include digital business models and ecosystems, technology and data, customer-centricity, new risks, marketing and communications, as well as “the way we work” and leadership in the future world. These skillsets are imperative for our employees to gain proficiency in and are critical to the bank’s operations. The proficiency in each domain is measured across one of four qualification standards — awareness, literacy, practitioner-level and mastery. When you look back to some of the most challenging projects you had to carry out in this role, what is the one thing you had to overcome? I truly believe that learning skills is very important. When you come into a new role where you don’t have expertise to lead, you must listen. You may not agree with what people tell you, but you must listen, look at what is happening, and reflect. When I started in this role, I actually went to out to seek knowledge from every HR practitioner that was willing to see me. Sometimes you receive good advice, sometimes not, but you learn something from each conversation. There are two things about transformation. One is that you stand on top of the mountain and beat your chest that you want to transform, and the other is that you tell people that this is their vision; you tell them enough so that they start thinking and then start to change the parts that can be changed. And when people see that there are small successes and achievements, they are encouraged to try more. And that’s why experimenting is important. No ideas are crazy. Why do you think a culture of experimentation is crucial for the HR? If I look at the HR function, we are building the foundation for people, in terms of development, skillsets, or job opportunities. We take the proactive role in helping our employees thrive in this rapidly evolving and fast-paced digital economy. So for us, we are creating and experimenting to expand the potential of our employees. We take the lead in developing programs that increase the awareness of trends that are impacting our employees. We have a firm focus on experimentation and innovation as a core driver which allows to quickly understand changes as they appear and deliver value to our employees. When we train, we train them differently; when we give them benefits, we present them differently; and when we give them a working environment, we give them an ecosystem that is creative and progressive. We have built our culture on three pillars and this in turn supports our employer brand – caring (by investing in employees’ development); progressive (breaking new ground through continuous learning and innovation); and making a difference (taking a long-term view, as opposed to short-term results) which reflects in our commitment to our employees and their families, our clients and our customers.